I’m often aware of how often I find myself lacking an understanding of cultures not my own. I recently listened to the works of two Asian-American novelists and narrators, both of whom have unique views of stereotyping and prejudice. 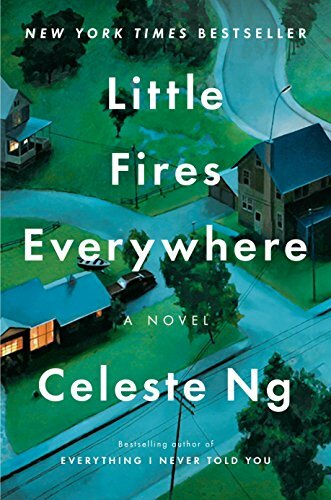 Allison Hiroto narrates Min Jin Lee’s “Pachinko” (Hatchett) while Jennifer Lim reads Celeste Ng’s “Little Fires Everywhere” (Penguin Audio). Hiroto’s narration is soft, but precise as she relates “Pachinko’s” intergenerational story. She begins with an almost folkloric tone that allows listeners to enter the world of the genesis character, Sunja, and her early life in 1910 Pusan, Korea, before Japan annexed it. Hiroto’s delicate reading and Lee’s careful detailing continue throughout as they relate the stories of four generations of this family. The writer and narrator strike an elegance that stands in contrast to the stories of subjugation, struggle, survival and hard-won success. Over 10 years, Lee interviewed dozens of Japanese-Koreans before she wrote her historical novel. She did this to combat accepted generalizations of this culture that she heard and read about in Japan. The subjugation of Japanese-Koreans was largely responsible for pioneering Pachinko, a game of chance that dominates Japanese gambling. The reason? Because of their subjugation, this was one of the only opportunities open to them. Lee weaves her meticulous research into a story powered by people who, for decades, were pawns to tyranny. Pachinko is an ironic image, for this game of chance reflects their luckless situation. Ng’s guiding image is as strong as Lee’s. The little fires referred to in the title unify the plot and theme of this story. The audio starts with the question of who set the small fires that destroyed the once elegant home of the Richardson family. The rest of the story reveals the cause. The fires are the physical expression of the smoldering furies that characterize the town and people of 1980’s Shaker Heights, as well as the Richardson family. Lim’s tone drips sarcasm as she describes the perfect design of the town in which the wealthy Richardsons live. 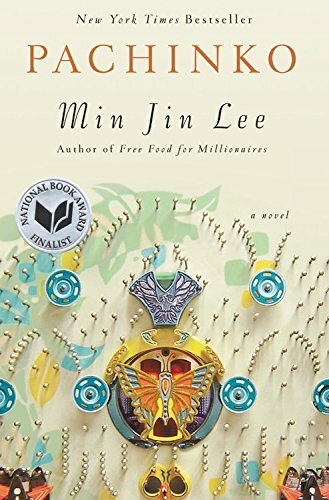 Setting established, Lim dives into the inner stories with emotions that belie the sterile utopian setting and a family whose pretenses fall apart under closer examination. The kindling for the plot is the artistically-minded Mia Warren and her daughter, Pearl. They rent one of Elena Richardson’s apartments. On the surface, Elena seems liberal and generous, but the unfolding tales of her four children reveal a shrewish woman. Unlike her, Mia accepts their truths, secrets and pain. She also stands up for a Chinese immigrant who fights against rich white citizens for the custody of her daughter. Lim’s voice is strong in exposing both the quelled issues of the embattled town and quiet fury of the Richardson children.